The Academic year followed by the school, is from April to March. Founded in August 1988, the school is purely residential and the medium of instruction is English. The school year consists of two terms. Class periods are 40 minutes each, seven periods a day, six days a week for 240 working days per year. Comprising of classes IV to XII, the school is affiliated to the Council for the Indian School Certificate Examination, one of the All – India patterns of Secondary Education recognized by the government of India. 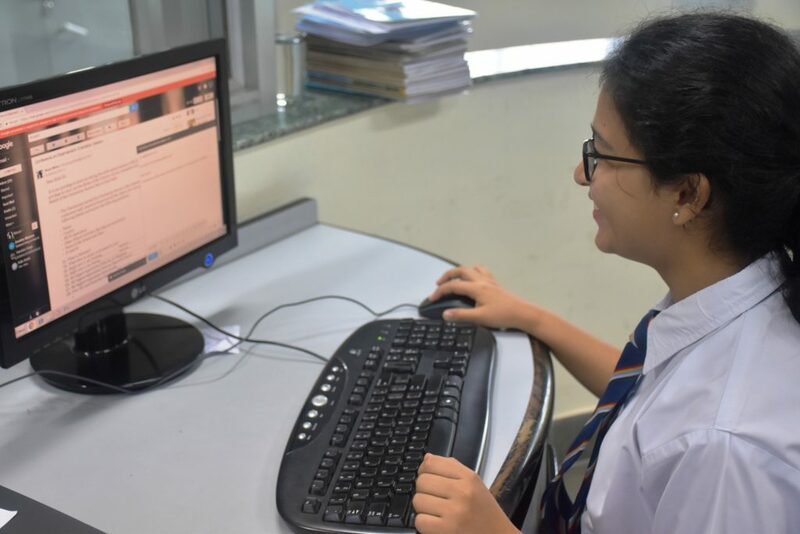 The council conducts two public examinations in March each year –one at the end of standard X for which it awards the Indian Certificate of Secondary Education (ICSE) and the other at the end of Standard XII for which it awards the Indian School Certificate (ISC). Their examinations have international equivalence. Qualification in standard twelve examinations makes the student eligible to join the first year of a three – year College System of any Indian University. Mathematics, General Science, Home Science and Hygiene, Physics, Chemistry, Biology, History and Civics, Geography, Economics, Commerce, French, Sanskrit, Urdu, Bengali, Gujarati, Marathi and Punjabi. The curriculum also includes craft, needlework, dance, music and SUPW. At the class XI and XII Level we offer a choice of three streams. Along with a compulsory English paper the student must opt for at least four or five other subjects from the stream she has chosen. We follow a system of continuous assessment where a girl’s academic performance is determined by her performance in Unit tests, Class tests and Examinations. At the end of each term, full reports are sent to the parents/ guardians. For promotion, the girls work throughout the year as well as her examination is taken into account. The Principal’s decision in matters regarding placement and promotion of a girl is final.